Area: 122,762 sq. km. (47,918 sq. mi. ), about the size of Mississippi. Cities: Capital: Pyongyang. Other cities — Hamhung, Chongjin, Wonsan, Nampo, Sinjuiju, and Kaesong. Terrain: About 80% of land area is moderately high mountains separated by deep, narrow valleys and small, cultivated plains. The remainder is lowland plains covering small, scattered areas. Climate: Long, cold, dry winters; short, hot, humid, summers. Population (July 2011 est., CIA World Factbook): 25.5 million. Annual population growth rate: About +0.42%. Religions: Autonomous religious activities have been virtually nonexistent since 1945. Buddhism, Confucianism, Shamanism, Chongdogyo, and Christianity existed previously and have influenced the country. Education: Years compulsory: 11. Attendance — 3 million (primary, 1.5 million; secondary, 1.2 million; tertiary, 0.3 million). Literacy — 99%. Health (1998): Medical treatment is free; one doctor for every 700 inhabitants; one hospital bed for every 350; there are severe shortages of medicines and medical equipment. Infant mortality rate — 47/1,000 (2010 est., UN Population Fund — UNFPA). Life expectancy — males 65.5 years, females 69.7 years (2010 est., UNFPA). Type: Highly centralized communist state. Independence: August 15, 1945 — Korean liberation from Japan; September 9, 1948 — establishment of the Democratic People's Republic of Korea (D.P.R.K., or North Korea), marking its separation from the Republic of Korea (R.O.K., or South Korea). Constitution: 1948; revised in 1972, 1992, 1998, and 2009. Branches: Executive: President of the Presidium of the Supreme People's Assembly (chief of state); Chairman of the National Defense Commission (head of government). Legislative — Supreme People's Assembly. Judicial — Central Court; provincial, city, county, and military courts. Subdivisions: Nine provinces; two province-level municipalities (Pyongyang, Nasun, also known as Najin-Sonbong free trade zone); one special city (Nampo), 24 cities. Political party: Korean Workers' Party (Communist). GDP (2009 est., CIA World Factbook): $28 billion; 46.9% in industry, 32.1% in services, 20.9% in agriculture. Per capita GDP, purchasing power parity (2009 est., CIA World Factbook): $1,800. Agriculture: Products: rice, corn, potatoes, soybeans, cattle, pigs, pork, and eggs. Mining and manufacturing: Types: military products, machine building, electric power, chemicals, mining (coal, iron ore, limestone, magnesite, graphite, copper, zinc, lead, and precious metals), metallurgy, textiles, food processing, tourism. Trade (2009): Exports: $1.997 billion (CIA World Factbook): minerals, metallurgical products, manufactures (including armaments), textiles, agricultural and fishery products. The D.P.R.K. is also thought to earn hundreds of millions of dollars from the unreported sale of missiles, narcotics, and counterfeit cigarettes and currency, and other illicit activities. Imports — $3.096 billion: petroleum, coking coal, machinery and equipment, textiles, grain. Major trading partners (2009): (1) China, (2) R.O.K., (3) Singapore, and (4) India. *In most cases, the figures used above are estimates based upon incomplete data and projections. The Korean Peninsula was first populated by peoples of a Tungusic branch of the Ural-Altaic language family, who migrated from the northwestern regions of Asia. Some of these peoples also populated parts of northeast China (Manchuria); Koreans and Manchurians still show physical similarities. Koreans are racially and linguistically homogeneous. Although there are no indigenous minorities in North Korea, there is a small Chinese community (about 50,000) and some 1,800 Japanese wives who accompanied the roughly 93,000 ethnic Koreans returning to the North from Japan between 1959 and 1962. Although dialects exist, the Korean language spoken throughout the peninsula is mutually comprehensible. In North Korea, the Korean alphabet (hangul) is used exclusively. By the first century AD, the Korean Peninsula was divided into the kingdoms of Shilla, Koguryo, and Paekche. In 668 AD, the Shilla kingdom unified the peninsula. The Koryo dynasty — from which Portuguese missionaries in the 16th century derived the Western name "Korea" — succeeded the Shilla kingdom in 935. The Choson dynasty, ruled by members of the Yi clan, supplanted Koryo in 1392 and lasted until Japan annexed Korea in 1910. Throughout its history, Korea has been invaded, influenced, and fought over by its larger neighbors. Korea was under Mongolian occupation from 1231 until the early 14th century. The unifier of Japan, Hideyoshi Toyotomi, launched major invasions of Korea in 1592 and 1597. When Western powers focused "gunboat" diplomacy on Korea in the mid-19th century, Korea's rulers adopted a closed-door policy, earning Korea the title of "Hermit Kingdom." Although the Choson dynasty recognized China's hegemony in East Asia, Korea was independent until the late 19th century. At that time, China sought to block growing Japanese influence on the Korean Peninsula and Russian pressure for commercial gains there. The competition produced the Sino-Japanese War of 1894-95 and the Russo-Japanese War of 1904-05. Japan emerged victorious from both wars and in 1910 annexed Korea as part of the growing Japanese empire. Japanese colonial administration was characterized by tight control from Tokyo and ruthless efforts to supplant Korean language and culture. Organized Korean resistance during the colonial era was generally unsuccessful, and Japan remained firmly in control of the Peninsula until the end of World War II in 1945. The surrender of Japan in August 1945 led to the immediate division of Korea into two occupation zones, with the United States administering the area south of the 38th parallel, and the Soviet Union administering the area to the north of the 38th parallel. This division was meant to be temporary until the United States, United Kingdom, Soviet Union, and China could arrange a trusteeship administration. In December 1945, a conference was convened in Moscow to discuss the future of Korea. A 5-year trusteeship was discussed, and a joint Soviet-American commission was established. The commission met intermittently in Seoul but deadlocked over the issue of establishing a national government. In September 1947, with no solution in sight, the United States submitted the Korean question to the UN General Assembly. Initial hopes for a unified, independent Korea quickly evaporated as the politics of the Cold War and domestic opposition to the trusteeship plan resulted in the 1948 establishment of two separate nations with diametrically opposed political, economic, and social systems. Elections were held in the South under UN observation, and on August 15, 1948, the Republic of Korea (R.O.K.) was established in the South. Syngman Rhee, a nationalist leader, became the Republic's first president. On September 9, 1948, the North established the Democratic People's Republic of Korea (D.P.R.K.) headed by then-Premier Kim Il-sung, who had been cultivated and supported by the Soviet Union. Almost immediately after the establishment of the D.P.R.K., guerrilla warfare, border clashes, and naval battles erupted between the two Koreas. North Korean forces launched a massive surprise attack and invaded South Korea on June 25, 1950. The United Nations, in accordance with the terms of its charter, engaged in its first collective action and established the UN Command (UNC), to which 16 member nations sent troops and assistance. Next to South Korea, the United States contributed the largest contingent of forces to this international effort. The battle line fluctuated north and south, and after large numbers of Chinese "People's Volunteers" intervened to assist the North, the battle line stabilized north of Seoul near the 38th parallel. North Korea has a centralized government under the rigid control of the communist Korean Workers' Party (KWP), to which all government officials belong. A few minor political parties are allowed to exist in name only. Kim Il-sung ruled North Korea from 1948 until his death in July 1994 as Secretary General of the KWP and President of North Korea. The latter post was abolished following Kim Il-sung's death and the title of the Eternal President of the Republic was established and given to Kim Il-sung. Little is known about the actual lines of power and authority in the North Korean Government despite the formal structure set forth in its constitution. Following the death of Kim Il-sung, his son, Kim Jong-il, inherited supreme power. Kim Jong-il was named General Secretary of the KWP in October 1997, and in September 1998, the Supreme People's Assembly (SPA) reconfirmed Kim Jong-il as Chairman of the National Defense Commission (NDC) and declared that position as the "highest office of state." However, the President of the Presidium of the SPA, Kim Yong-nam, serves as the nominal head of state. North Korea's 1972 constitution was amended in late 1992, September 1998, and April 2009. Three key entities control the government of the D.P.R.K. The cabinet, formerly known as the State Administration Council (SAC), administers the ministries and has a significant role in implementing policy. The cabinet is headed by the premier and is the dominant administrative and executive agency. The NDC is responsible for external and internal security, and under the leadership of Kim Jong-il the NDC has assumed a significant role in influencing policy. The Politburo of the Central People's Committee is the top policymaking body of the KWP, which also plays a role as the dominant social institution in North Korea. Officially, the D.P.R.K. 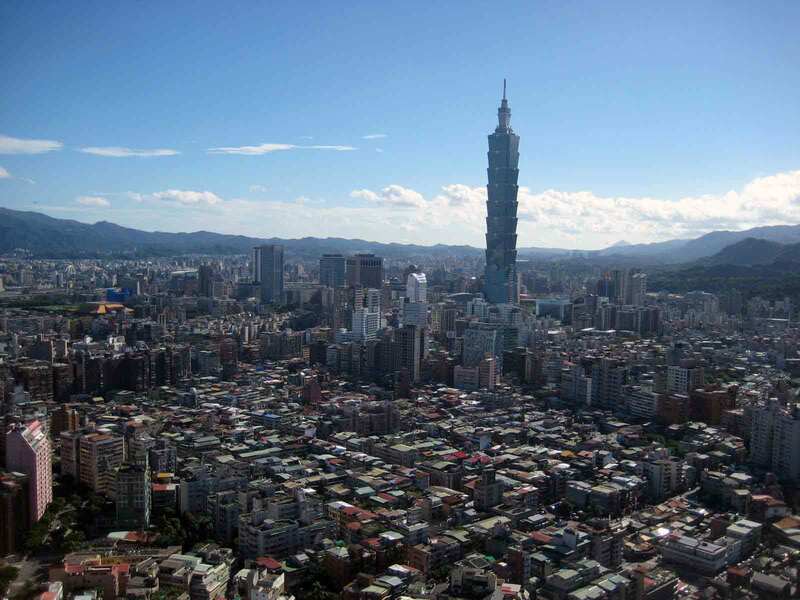 's legislature, the Supreme People's Assembly, is the highest organ of state power. Its members are elected every 4 years. Usually only two meetings are held annually, each lasting a few days. A standing committee elected by the SPA performs legislative functions when the Assembly is not in session. In reality, the SPA serves only to ratify decisions made by the ruling KWP. North Korea's judiciary is "accountable" to the SPA and the president. The SPA's standing committee also appoints judges to the highest court for 4-year terms that are concurrent with those of the Assembly. 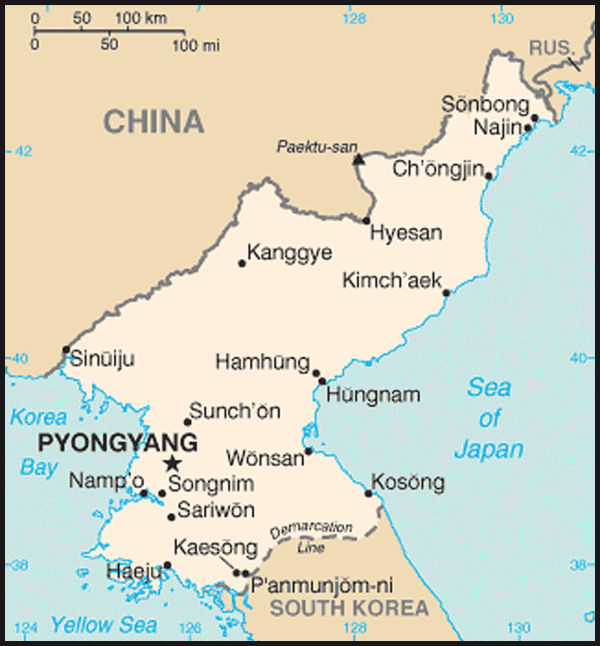 Administratively, North Korea is divided into nine provinces and two provincial-level municipalities — Pyongyang and Nasun (also known as Najin-Sonbong). It also appears to be divided into nine military districts. Due to its isolationist nature, North Korea's human rights record is difficult to evaluate. However, non-governmental organizations (NGOs), think tanks, and defectors continue to report that North Korea maintains a record of consistent, severe human rights violations, stemming from the government's total control over all activity. Reported human rights abuses include arbitrary and lengthy imprisonment, torture and degrading treatment, poor prison conditions (including cases of starvation), forced labor, public executions, prohibitions or severe restrictions on freedom of speech, the press, movement, assembly, religion, and privacy, denial of the right of citizens to change their government, and suppression of workers' rights. All sources of media, such as radio, television, and news organizations, are controlled by the government and heavily censored. Correspondence is strictly monitored and Internet use is limited to the political elite. Cellular phone access is limited to an internal network, but appears have grown to above 535,000; international calls are only available to foreigners and the political elite. North Korea is ranked second to last on the World Press Freedom Index. North Korea has one of the largest armies in the world. It has an estimated active duty military force of up to 1.2 million personnel, compared to about 680,000 in the South. Military spending is estimated at as much as a quarter of GNP, with up to 20% of men ages 17-54 in the regular armed forces. North Korean forces have a substantial numerical advantage over the South (around 2 to 1) in several key categories of offensive weapons — tanks, long-range artillery, and armored personnel carriers. The North has one of the world's largest special operations forces, designed for insertion behind the lines in wartime. North Korea's navy is primarily a coastal navy, with antiquated surface and submarine fleets. Its air force has twice the number of aircraft as the South, but, except for a few advanced fighters, the North's air force is obsolete. The North deploys the bulk of its forces well forward, along the demilitarized zone (DMZ). Several North Korean military tunnels under the DMZ were discovered in the period from the 1970s to the present day. Over the course of several years, North Korea realigned its forces and moved some rear-echelon troops to hardened bunkers closer to the DMZ. Given the proximity of Seoul to the DMZ (some 25 miles), South Korean and U.S. forces are likely to have little warning of attack. The United States and South Korea continue to believe that the U.S. troop presence in South Korea remains an effective deterrent. North Korea's attempts to develop a nuclear weapons program has also been a source of international tension (see below, Reunification Efforts Since 1971; Denuclearization of the Korean Peninsula). In 1953, the Military Armistice Commission (MAC) was created to oversee and enforce the terms of the armistice. North Korea has sought to dismantle the MAC in a push for a new "peace mechanism" on the peninsula. In April 1994, it declared the MAC void and withdrew its representatives. North Korea's relationship with the South has determined much of its post-World War II history and still undergirds much of its foreign policy. North and South Korea have had a difficult and acrimonious relationship since the Korean War. In recent years, North Korea has pursued a mixed policy — seeking to develop economic relations with South Korea and to win the support of the South Korean public for greater North-South engagement while at the same time continuing to denounce the R.O.K. 's security relationship with the United States and maintaining a threatening conventional force posture on the DMZ and in adjacent waters. North Korea's closest allies are China and Russia. It maintains limited relations with other nations and has no official, diplomatic ties with South Korea, the United States, and Japan. All member nations of the European Union with the exception of Estonia and France maintain diplomatic relations with North Korea. In August 1971, North and South Korea held talks through their respective Red Cross societies with the aim of reuniting the many Korean families separated following the division of Korea and the Korean War. In July 1972, the two sides agreed to work toward peaceful reunification and an end to the hostile atmosphere prevailing on the peninsula. Officials exchanged visits, and regular communications were established through a North-South coordinating committee and the Red Cross. These initial contacts broke down in 1973 following South Korean President Park Chung-hee's announcement that the South would seek separate entry into the United Nations, and after the kidnapping of South Korean opposition leader Kim Dae-jung — perceived as friendly to unified entry into the UN — by South Korean intelligence services. There was no other significant contact between North and South Korea until 1984. Dialogue was renewed in September 1984, when South Korea accepted the North's offer to provide relief goods to victims of severe flooding in South Korea. Red Cross talks to address the plight of separated families resumed, as did talks on economic and trade issues and parliamentary-level discussions. However, the North then unilaterally suspended all talks in January 1986, arguing that the annual U.S.-R.O.K. "Team Spirit" military exercises were inconsistent with dialogue. There was a brief flurry of negotiations that year on co-hosting the upcoming 1988 Seoul Olympics, which ended in failure and was followed by the 1987 bombing of a South Korean commercial aircraft (Korean Airlines flight 858) by North Korean agents. The Basic Agreement, signed on December 13, 1991, called for reconciliation and nonaggression and established four joint commissions. These commissions — on South-North reconciliation, South-North military affairs, South-North economic exchanges and cooperation, and South-North social and cultural exchange — were to work out the specifics for implementing the Basic Agreement. Subcommittees to examine specific issues were created, and liaison offices were established in Panmunjom. However, in the fall of 1992 the process came to a halt because of rising tension over North Korea's nuclear program. The Joint Declaration on denuclearization was initialed on December 31, 1991. It forbade both sides from testing, manufacturing, producing, receiving, possessing, storing, deploying, or using nuclear weapons and forbade the possession of nuclear reprocessing and uranium enrichment facilities. A procedure for inter-Korean inspection was to be organized, and a North-South Joint Nuclear Control Commission (JNCC) was mandated to verify the denuclearization of the peninsula. As the 1990s progressed, concern over the North's attempts to develop a nuclear program became a major issue in North-South relations and between North Korea and the United States. The lack of progress on implementation of the Joint Declaration's provision for an inter-Korean nuclear inspection regime led to reinstatement of the U.S.-R.O.K. Team Spirit military exercises for 1993. The situation worsened rapidly when North Korea, in January 1993, refused IAEA access to two suspected nuclear waste sites and then announced in March 1993 its intent to withdraw from the NPT. During the next 2 years, the United States held direct talks with the D.P.R.K. that resulted in a series of agreements on nuclear matters, including the 1994 Agreed Framework (which broke down in 2002 when North Korea was discovered to be pursuing a uranium enrichment program for nuclear weapons — see below, Denuclearization of the Korean Peninsula). At his inauguration in February 1998, R.O.K. President Kim Dae-jung enunciated a new policy of engagement with the D.P.R.K., named "the Sunshine Policy." The policy had three fundamental principles: no tolerance of provocations from the North, no intention to absorb the North, and the separation of political cooperation from economic cooperation. Private sector overtures would be based on commercial and humanitarian considerations. The use of government resources would entail reciprocity. This policy set the stage for the first inter-Korean summit, held in Pyongyang on June 13-15, 2000. Following his inauguration in February 2003, R.O.K. President Roh Moo-hyun, continued his predecessor's policy of engagement with the North, although he abandoned the name "Sunshine Policy." The R.O.K. and D.P.R.K. held a second inter-Korean summit on October 2-4, 2007 in Pyongyang. Following the inauguration of R.O.K. President Lee Myung-bak in February 2008, inter-Korean relations have declined as the D.P.R.K. criticized Lee's policy of seeking greater reciprocity in inter-Korean relations. In the fall of 2009, inter-Korean relations showed some signs of potential improvement following a reunion of separated families and several meetings to discuss joint economic projects and other issues. However, no progress was made. Inter-Korean relations further deteriorated following the D.P.R.K. 's sinking of the R.O.K. warship Cheonan on March 26, 2010, which killed 46 R.O.K. sailors. Although the D.P.R.K. has continued to deny responsibility for the attack, an objective and scientific investigation found overwhelming evidence that the warship was sunk by a North Korean torpedo fired from a North Korean submarine. On July 9, 2010, the UN Security Council unanimously adopted a Presidential Statement that condemned the attack on the Cheonan. On November 23, 2010, the D.P.R.K. launched an unprovoked attack against Yeonpyong Island, killing two R.O.K. soldiers and two civilians. The D.P.R.K. 's attack on Yeonpyong Island was a clear violation of the armistice agreement. The United States supports engagement and North-South dialogue and cooperation. Major joint economic projects have included a tourism development in Mt. Kumgang, the re-establishment of road and rail links across the DMZ, and a joint North-South industrial park near the North Korean city of Kaesong (see further information below in the section on the Economy). Following the sinking of the Cheonan, the R.O.K. severed nearly all economic links with the D.P.R.K., with the exception of the Kaesong Industrial Complex (KIC). Both North and South Korea became parties to the Biological Weapons Convention in 1987. North Korea is not a member of the Chemical Weapons Convention, nor is it a member of the Missile Technology Control Regime (MTCR). North Korea has maintained membership in several multilateral organizations. It became a member of the UN in September 1991. North Korea also belongs to the Food and Agriculture Organization (FAO); the International Civil Aviation Organization; the International Postal Union; the UN Conference on Trade and Development; the International Telecommunications Union; the UN Development Program (UNDP); the UN Educational, Scientific, and Cultural Organization; the World Health Organization; the World Intellectual Property Organization; the World Meteorological Organization; the International Maritime Organization; the International Committee of the Red Cross; and the Nonaligned Movement. The UN country team (a group of the 5 UN agencies with a permanent presence in the D.P.R.K.) consists of the UNDP, the World Food Program, the UN Population Fund (UNFPA), the UN Children's Fund (UNICEF), and the FAO. The D.P.R.K. is also a member of the ASEAN Regional Forum. The D.P.R.K. was forced to abandon some of the more extreme manifestations of its "self-reliance" ideology in the mid-1990s following the death of Kim Il-sung and the deterioration of its economy. In subsequent years, the D.P.R.K. has continued to pursue a tightly restricted economic policy while continuing to search for economic aid and development assistance. These efforts have been matched by an increased determination to counter perceived external and internal threats by a self-proclaimed "Songun," or military first, policy. At times, North Korea has sought to broaden its formal diplomatic relationships in a limited and cautious manner. In July 2000, North Korea began participating in the ASEAN Regional Forum (ARF), with Foreign Minister Paek Nam-sun attending the ARF ministerial meeting in Bangkok. The D.P.R.K. also expanded its bilateral diplomatic ties in 2000 by establishing diplomatic relations with Italy, the Philippines, Australia, Canada, the U.K., Germany, and many other European countries. In the September 19, 2005 Joint Statement issued at the end of the fourth round of Six-Party Talks, the United States and the D.P.R.K. committed to undertake steps to normalize relations. The D.P.R.K. and Japan also agreed to take steps to normalize relations and to discuss outstanding issues of concern, such as the North Korean Government's abductions of Japanese citizens. The February 13, 2007 Initial Actions agreement established U.S.-D.P.R.K. and Japan-D.P.R.K. bilateral working groups on normalization of relations, both of which met several times before the D.P.R.K. 's withdrawal from the Six-Party Talks (see below, Denuclearization of the Korean Peninsula). Since 2006, China has implemented UN sanctions against North Korea while simultaneously providing economic support to maintain North Korea's stability. The traditional China-D.P.R.K. friendship dating back to before the Korean War was described in November 2009 by Kim Jong-il as "unbreakable." The D.P.R.K. is not known to have sponsored terrorist acts since the 1987 bombing of Korean Airlines flight 858. Pyongyang continues to provide sanctuary to members of the Japanese Communist League-Red Army Faction (JRA) who participated in the hijacking of a Japan Airlines flight to North Korea in 1970. The D.P.R.K. has made several statements condemning terrorism. In October 2000, the United States and the D.P.R.K. issued a joint statement on terrorism in which "the two sides agreed that international terrorism poses an unacceptable threat to global security and peace, and that terrorism should be opposed in all its forms." The United States and the D.P.R.K. agreed to support the international legal regime combating international terrorism and to cooperate with each other to fight terrorism. The D.P.R.K. became a signatory to the Convention for the Suppression of Financing of Terrorism and a party to the Convention Against the Taking of Hostages in November 2001. In June 2008, the D.P.R.K. Foreign Ministry issued an authoritative statement providing assurances that the D.P.R.K. supports international efforts to combat terrorism and opposes all forms of terrorism. In the February 13, 2007 Initial Actions agreement, the United States agreed to begin the process of removing the designation of the D.P.R.K. as a state sponsor of terrorism. On June 26, 2008, following the D.P.R.K. 's submission of its nuclear declaration and progress on disablement, President George W. Bush announced that the United States would no longer apply the Trading with the Enemy Act to North Korea. Additionally, on October 11, the Secretary of State rescinded the United States' designation of North Korea as a state sponsor of terrorism. In May 2010, the United States re-certified North Korea as "not cooperating fully" with U.S. counterterrorism efforts under Section 40A of the Arms Export and Control Act, as amended. Pursuant to this certification, defense articles and services could not be sold or licensed for export to North Korea from October 1, 2009 to September 30, 2010. In the past, the D.P.R.K. has also been involved in the abduction of foreign citizens. In 2002, Kim Jong-il acknowledged to Japanese Prime Minister Junichiro Koizumi the involvement of D.P.R.K. "special institutions" in the kidnapping of Japanese citizens between 1977 and 1983 and said that those responsible had been punished. While five surviving victims and their families were allowed to leave the D.P.R.K. and resettle in Japan in October 2002, 12 other cases remain unresolved and continue to be a major issue in Japan-D.P.R.K. relations. The R.O.K. Government estimated that approximately 480 of its civilians, abducted or detained by the D.P.R.K. following the end of the Korean War, remained in the D.P.R.K. The R.O.K. Government also estimated that 560 soldier and prisoners of war missing in action also remained alive in the D.P.R.K. In October 2005, the D.P.R.K. acknowledged for the first time having kidnapped R.O.K. citizens in previous decades, claiming that several abductees, as well as several POWs from the Korean War, were still alive. In June 2006, North Korea allowed Kim Young-nam, a South Korean abducted by the North in 1978, to participate in a family reunion. In June 2008, the D.P.R.K. agreed to reopen the investigation into the abduction issue. In August 2008, the D.P.R.K. and Japan agreed to a plan for proceeding with the abductions investigation. However, the D.P.R.K. has not yet begun the investigation. The United States has continued to press the D.P.R.K. to address the concerns of Japan and the R.O.K. about the abductions issue. The United States supports the peaceful reunification of Korea on terms acceptable to the Korean people and recognizes that the future of the Korean Peninsula is primarily a matter for them to decide. The United States believes that a constructive and serious dialogue between the authorities of North and South Korea is necessary to resolve outstanding problems, including the North's attempts to develop a nuclear program and human rights abuses, and to encourage the North's integration with the rest of the international community. North Korea joined the Nuclear Non-Proliferation Treaty (NPT) as a non-nuclear weapons state in 1985. North and South Korean talks begun in 1990 resulted in the 1992 Joint Declaration for a Non-Nuclear Korean Peninsula (see Foreign Relations: Reunification Efforts Since 1971). However, the international standoff over the D.P.R.K. 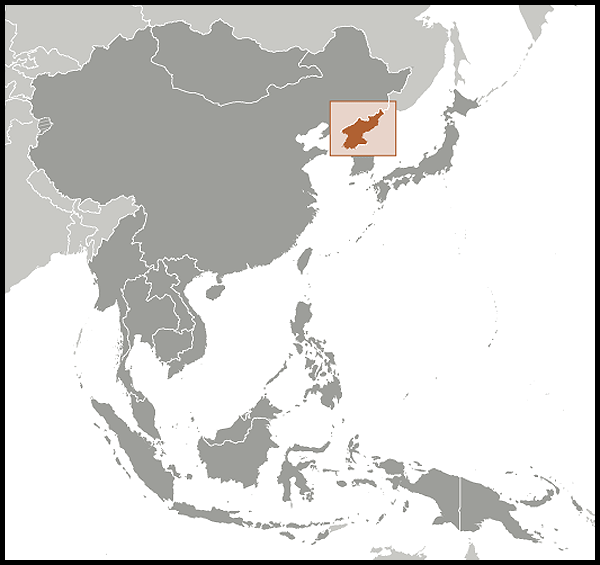 's failure to implement an agreement with the IAEA for the inspection of the North's nuclear facilities led Pyongyang to announce in March 1993 its intention to withdraw from the NPT. UN Security Council Resolution (UNSCR) 825 in May 1993 urged the D.P.R.K. to cooperate with the IAEA and to implement the 1992 North-South Denuclearization Statement. It also urged all UN member states to encourage the D.P.R.K. to respond positively to this resolution and to facilitate a solution to the nuclear issue. The United States opened talks with the D.P.R.K. in June 1993 and eventually reached agreement in October 1994 on a diplomatic roadmap, known as the Agreed Framework, for the denuclearization of the Korean Peninsula. The Agreed Framework called for the following steps:North Korea agreed to freeze its existing nuclear program and allow monitoring by the IAEA.Both sides agreed to cooperate to replace the D.P.R.K. 's graphite-moderated reactors with light water reactor (LWR) power plants, by a target date of 2003, to be financed and supplied by an international consortium (later identified as the Korean Peninsula Energy Development Organization or KEDO).As an interim measure, the United States agreed to provide North Korea with 500,000 tons of heavy fuel oil annually until the first reactor was built.The United States and D.P.R.K. agreed to work together to store safely the spent fuel from the five-megawatt reactor and dispose of it in a safe manner that did not involve reprocessing in the D.P.R.K.The two sides agreed to move toward full normalization of political and economic relations.The two sides agreed to work together for peace and security on a nuclear-free Korean Peninsula.The two sides agreed to work together to strengthen the international nuclear non-proliferation regime. In accordance with the terms of the Agreed Framework, in January 1995 the U.S. Government eased economic sanctions against North Korea in response to North Korea's freezing its graphite-moderated nuclear program under United States and IAEA verification. North Korea agreed to accept the decisions of KEDO, the financier and supplier of the light water reactors, with respect to provision of the reactors. KEDO subsequently identified Sinpo as the LWR project site and held a groundbreaking ceremony in August 1997. In December 1999, KEDO and the (South) Korea Electric Power Corporation (KEPCO) signed the Turnkey Contract (TKC), permitting full-scale construction of the LWRs. In January 1995, as called for in the 1994 Agreed Framework, the United States and D.P.R.K. negotiated a method to store the spent fuel from the D.P.R.K. 's five-megawatt nuclear reactor. Under this method, United States and D.P.R.K. operators worked together to can the spent fuel and store the canisters in a spent fuel pond; canning began in 1995. In April 2000, canning of all accessible spent fuel rods and rod fragments was completed. In 1999, the D.P.R.K. announced a voluntary moratorium on testing of long-range missiles. The D.P.R.K. subsequently reaffirmed this moratorium in June 2000 and on October 12, 2000. The moratorium continued until 2005, when the D.P.R.K. announced its termination as a result of what the D.P.R.K. claimed was "U.S. hostility." The United States and the D.P.R.K. launched Agreed Framework Implementation Talks in May 2000. The United States and the D.P.R.K. also began negotiations for a comprehensive missile agreement. In January 2001, the Bush administration discontinued nuclear and missile talks, specifying that it intended to review the U.S. policy on North Korea. The administration announced on June 6, 2001 that it was prepared to resume dialogue with North Korea on a broader agenda of issues — including North Korea's conventional force posture, missile development and export programs, human rights practices, and humanitarian issues. In October 2002, a U.S. delegation headed by then-Assistant Secretary of State for East Asian and Pacific Affairs James A. Kelly confronted North Korea with the assessment that the D.P.R.K. was pursuing an undeclared uranium enrichment program, in violation of North Korea's IAEA safeguards obligation and its commitments in the 1992 North-South Joint Declaration on Denuclearization of the Korean Peninsula and the Agreed Framework. North Korean officials asserted to the U.S. delegation the D.P.R.K. 's "right" to a uranium enrichment program and indicated that that it had such a program. The U.S. side stated that North Korea would have to terminate the program before any further progress could be made in U.S.-D.P.R.K. relations. The United States also made clear that if this program were verifiably eliminated, it would be prepared to work with North Korea on the development of a fundamentally new relationship. After denying a highly enriched uranium program since 2003, North Korea announced in April 2009 that it was developing uranium enrichment capability to produce fuel for a planned light water reactor; in September it claimed its enrichment research had "entered into completion phase." In November 2002, the member countries of KEDO's Executive Board agreed to suspend heavy fuel oil shipments to North Korea pending a resolution of the nuclear dispute. In early 2003, the United States proposed multilateral talks on the North Korean nuclear issue. North Korea initially opposed such a process, maintaining that the nuclear dispute was purely a bilateral matter between the United States and the D.P.R.K. However, under pressure from its neighbors and with the active involvement of China, North Korea agreed to three-party talks with China and the United States in Beijing in April 2003 and to Six-Party Talks with the United States, China, R.O.K., Japan, and Russia in August 2003, also in Beijing. During the August 2003 round of Six-Party Talks, North Korea agreed to the eventual elimination of its nuclear programs if the United States were first willing to sign a bilateral "non-aggression treaty" and meet various other conditions, including the provision of substantial amounts of aid and normalization of relations. The North Korean proposal was unacceptable to the United States, which insisted on a multilateral resolution to the issue and opposed provision of benefits before the D.P.R.K. 's complete denuclearization. In October 2003, President Bush said he would consider a multilateral written security guarantee in the context of North Korea's complete, verifiable, and irreversible elimination of its nuclear weapons program. Following intense diplomatic efforts by the United States and other parties, the fourth round of Six-Party Talks were held in Beijing over a period of 20 days from July-September 2005, with a recess period in August. Discussions resulted in the September 19, 2005 Joint Statement, in which the six parties unanimously reaffirmed the goal of verifiable denuclearization of the Korean Peninsula in a peaceful manner. The D.P.R.K. for the first time committed to abandon all nuclear weapons and existing nuclear programs and to return, at an early date, to the NPT and to IAEA safeguards. The other parties agreed to provide economic cooperation and energy assistance. The United States and the D.P.R.K. agreed to take steps to normalize relations subject to bilateral policies, which for the United States includes concerns over North Korea's ballistic missile programs and human rights conditions. While the Joint Statement provides a vision of the end-point of the Six-Party process, much work lies ahead to implement the elements of the agreement. A fifth round of talks began in November 2005, but ended inconclusively as the D.P.R.K. began a boycott of the Six-Party Talks, citing the "U.S. hostile policy" and specifically U.S. law enforcement action that had led in September to a freeze of North Korean accounts in Macau's Banco Delta Asia (BDA). The United States held discussions in Kuala Lumpur (July 2006) and New York (September 2006) with other Six-Party partners, except North Korea, along with representatives from other regional powers in the Asia-Pacific region, to discuss Northeast Asian security issues, including North Korea. On July 4-5, 2006 (local Korea time), the D.P.R.K. launched seven ballistic missiles, including six short- and medium-range missiles and one of possible intercontinental range. In response, the UN Security Council unanimously adopted Resolution 1695 on July 15, which demanded that the D.P.R.K. suspend all activities related to its ballistic missile program and reestablish existing commitments to a moratorium on missile launching. The resolution also required all UN member states, in accordance with their national legal authorities and consistent with international law, to exercise vigilance and prevent missile and missile-related items, materials, goods and technology from being transferred to the D.P.R.K. 's missile or weapons of mass destruction (WMD) programs, prevent the procurement of missiles or related items, materials, goods and services from the D.P.R.K., and the transfer of any financial resources in relation to the D.P.R.K. 's missile or WMD programs. The D.P.R.K. immediately rejected the resolution. On October 9, 2006, North Korea announced the successful test of a nuclear explosive device, verified by the United States on October 11. In response, the United Nations Security Council, citing Chapter VII of the UN Charter, unanimously passed Resolution 1718, condemning North Korea and imposing sanctions on certain luxury goods and trade of military units, WMD and missile-related parts, and technology transfers. The Six-Party Talks resumed in December 2006 after a 13-month hiatus. Following a bilateral meeting between the United States and D.P.R.K. in Berlin in January 2007, another round of Six-Party Talks was held in February 2007. On February 13, 2007, the parties reached an agreement on "Initial Actions for the Implementation of the Joint Statement" in which North Korea agreed to shut down and seal its Yongbyon nuclear facility and to invite back IAEA personnel to conduct all necessary monitoring and verification of these actions as agreed between the IAEA and the D.P.R.K. The other five parties agreed to provide emergency energy assistance to North Korea in the amount of 50,000 tons of heavy fuel oil (HFO) in the initial phase and the equivalent of 950,000 tons of HFO in the next phase of North Korea's denuclearization. The six parties also established five working groups to form specific plans for implementing the Joint Statement in the following areas: denuclearization of the Korean Peninsula, normalization of U.S.-D.P.R.K. relations, normalization of Japan-D.P.R.K. relations, economic and energy cooperation, and a Northeast Asia peace and security mechanism. All parties agreed that the working groups would meet within 30 days of the agreement, which they did. The agreement also envisions the directly-related parties negotiating a permanent peace regime on the Korean Peninsula at an appropriate separate forum. The sixth round of Six-Party Talks took place on March 19-23, 2007. The parties reported on the first meetings of the five working groups. At the invitation of the D.P.R.K., Assistant Secretary of State Christopher Hill visited Pyongyang in June 2007 as part of ongoing consultations with the six parties on implementation of the Initial Actions agreement. In July 2007, the D.P.R.K. shut down the Yongbyon nuclear facility, as well as an uncompleted reactor at Taechon, and IAEA personnel returned to the D.P.R.K. to monitor and verify the shut-down and to seal the facility. Concurrently, the R.O.K. delivered 50,000 metric tons of HFO in August 2007. All five working groups met in August and September to discuss detailed plans for implementation of the next phase of the Initial Actions agreement, and the D.P.R.K. invited a team of experts from the United States, China, and Russia to visit the Yongbyon nuclear facility in September 2007 to discuss specific steps that could be taken to disable the facility. The subsequent September 27-30 Six-Party plenary meeting resulted in the October 3, 2007 agreement on "Second-Phase Actions for the Implementation of the Joint Statement." Under the terms of the October 3 agreement, the D.P.R.K. agreed to disable all existing nuclear facilities subject to abandonment under the September 2005 Joint Statement and the February 13 agreement. The Parties agreed to complete by December 31, 2007 a set of disabling actions for the three core facilities at Yongbyon — the five-megawatt Experimental Reactor, the Radiochemical Laboratory (Reprocessing Plant), and the Fresh Fuel Fabrication Plant — with oversight from a team of U.S. experts, The D.P.R.K. also agreed to provide a complete and correct declaration of all its nuclear programs in accordance with the February 13 agreement by December 31, 2007 and reaffirmed its commitment not to transfer nuclear materials, technology, or know-how. The United States, R.O.K., China, and Russia continued to provide HFO and HFO-equivalent energy assistance to the D.P.R.K., to fulfill the commitment of one million tons in the initial and second phases, in parallel with the D.P.R.K. 's actions on disablement and declaration. In November 2007, the D.P.R.K. began to disable the three core facilities at Yongbyon, and U.S. experts were present at the site to oversee the disabling actions. Assistant Secretary of State Christopher Hill visited Pyongyang again in December 2007 as part of ongoing consultations on the implementation of Second-Phase Actions and carried with him a letter from President George W. Bush to Kim Jong-il. While the D.P.R.K. missed the December 31 deadline to provide a complete and correct declaration, it provided its declaration to the Chinese, chair of the Six-Party Talks, on June 26, 2008. The D.P.R.K. also imploded the cooling tower at the Yongbyon facility in late June 2008 before international media. Following the D.P.R.K. 's progress on disablement and its provision of a declaration, President Bush announced the lifting of the application of the Trading with the Enemy Act (TWEA) with respect to the D.P.R.K. On October 1-3, 2008, a U.S. team traveled to the D.P.R.K. and reached agreement with the D.P.R.K. on a series of verification measures related to the D.P.R.K. 's nuclear declaration. Following this progress on verification, on October 11, 2008, the Secretary of State rescinded the United States' designation of North Korea as a state sponsor of terrorism. On December 8-11, 2008, the Six-Party heads of delegation met to discuss the issue of verification of the D.P.R.K. 's nuclear declaration and completion of Second-Phase energy assistance and disabling actions, but the meeting ended without agreement. Sung Kim was appointed the Special Envoy for the Six-Party Talks in July 2008 and was accorded the rank of Ambassador following confirmation by the United States Senate. In February 2009, the Secretary of State appointed Ambassador Stephen Bosworth as Special Representative for North Korea Policy, making him the senior official overseeing U.S. efforts in the Six-Party Talks to achieve the verifiable denuclearization of the Korean Peninsula in a peaceful manner. In June 2011, Ambassador Sung Kim was nominated to be the Ambassador to the Republic of Korea, and Clifford Hart replaced him as Special Envoy for the Six-Party Talks. Ambassador Bosworth stepped down in October 2011, and Ambassador Glyn T. Davies replaced him as Special Representative for North Korea Policy. Robert King was appointed as the Special Envoy for North Korean Human Rights Issues and was confirmed by the Senate in November 2009 with the title of Ambassador. On April 5, 2009, the D.P.R.K. launched a Taepo Dong-2 missile over the Sea of Japan, in violation of UN Security Council Resolution 1718. This action prompted the UN Security Council (UNSC) to issue a unanimous Presidential Statement condemning the launch as a violation of UNSCR 1718, demanding that the D.P.R.K. refrain from further launches, and calling upon the D.P.R.K. and all member states to fully implement their obligations under UNSCR 1718. On April 14, the D.P.R.K. condemned the UNSC statement and withdrew its active participation in the Six-Party Talks. At the same time, the D.P.R.K. demanded the expulsion of IAEA inspectors and U.S. technical experts who had been monitoring the Yongbyon nuclear site. The D.P.R.K. also disclosed its intent to reactivate its nuclear facilities. On May 25, 2009, the D.P.R.K. announced that it had conducted a second test of a nuclear explosive device. On June 12, 2009, the UN Security Council unanimously adopted Resolution 1874, which expanded on the provisions of UNSCR 1718 to include a ban on all arms transfers to and from the D.P.R.K. (with the exception of the D.P.R.K. 's import of small arms and light weapons, which require UN notification); provisions calling on states to inspect vessels in their territory when there are "reasonable grounds" that banned cargo is on a ship, and obligations to report on their inspections and when other states deny permission to inspect ships, as well as obligations for states to seize and dispose of any banned cargo; and broadened financial measures including a call on states not to provide grants, assistance, loans or public financial support for trade if such support could contribute to the D.P.R.K. 's proliferation efforts, and a call on states to deny financial services, including by freezing assets, where such assets could contribute to prohibited D.P.R.K. programs. In early 2009 the United States appointed Ambassador Philip Goldberg as the U.S. Coordinator for Implementation of UNSCR 1874. In June, July, and August 2009, Ambassador Goldberg led delegations to China, South Korea, Japan, Singapore, Malaysia, Thailand, Russia, the U.A.E., and Egypt to encourage these member states to implement sanctions in a full and transparent manner and to take actions that would shed light on North Korean proliferation-related activities. He also traveled to the United Nations, where he consulted with the UN's D.P.R.K. (1718) Sanctions Committee. Since the adoption of UNSCR 1874, several states, including the U.A.E., South Korea, Austria, Thailand, and South Africa had reported potential violations of UNSCRs 1718 and 1874 to the UN's D.P.R.K. Sanctions Committee. Robert J. Einhorn, Special Advisor for Nonproliferation and Arms Control, now coordinates the implementation of sanctions against the D.P.R.K. On July 3-4, 2009, the D.P.R.K. fired a series of short-range ballistic missiles into the Sea of Japan. In a September 2009 letter to the UN Security Council President, the D.P.R.K. announced that "experimental uranium enrichment has been successfully conducted to enter into completion phase." On October 12, 2009, the D.P.R.K. launched additional multiple short-range ballistic missiles. In November 2009, the D.P.R.K. declared that it had completed reprocessing 8,000 spent nuclear fuel rods in August. In December 2009, Special Representative for North Korea Policy Stephen Bosworth led an interagency delegation to Pyongyang for extensive talks that took place within the context of the Six-Party Talks and focused on the way to achieve the verifiable denuclearization of the Korean Peninsula. The United States and North Korea agreed on the importance of the Six-Party Talks and the need to implement the 2005 Joint Statement, but did not agree on when and how the D.P.R.K. would return to denuclearization talks. In July 2011, the United States and North Korea held bilateral talks in New York and in October 2011, the two countries held a second round of bilateral talks in Geneva to explore North Korea's willingness to live up to its commitments to denuclearization. As of October 2011, the Six-Party Talks had not resumed. The D.P.R.K. 's sinking of the R.O.K. naval vessel Cheonan on March 26, 2010 and its shelling of Yeonpyong Island on November 23, 2010 have diminished the prospects for talks to resolve the issues surrounding the D.P.R.K. 's nuclear program. The D.P.R.K. 's revelation of a uranium enrichment program in November 2010 is in violation of its own commitments under the 2005 Joint Statement and its obligations under UN Security Council Resolutions 1718 and 1874. UNSCRs 1718 and 1874 require the D.P.R.K. to abandon all nuclear weapons and existing nuclear programs in a complete, verifiable, and irreversible manner. UNSCR 1874 also requires the D.P.R.K. to immediately cease all related activities; the construction of uranium enrichment facilities is unacceptable and inconsistent with the objective of the verifiable denuclearization of the Korean Peninsula. North Korea's economy declined sharply in the 1990s with the end of communism in Eastern Europe, the disintegration of the Soviet Union, and the dissolution of bloc-trading countries of the former socialist bloc. Gross national income per capita is estimated to have fallen by about one-third between 1990 and 2002. The economy has since stabilized and shown some modest growth in recent years, which may be reflective of increased inter-Korean economic cooperation. Output and living standards, however, remain far below 1990 levels. Other centrally-planned economies in similar situations opted for domestic economic reform and liberalization of trade and investment. To date, North Korea has not done so. However, North Korea did formalize some modest wage and price reforms in 2002, and North Korea has been forced to tolerate markets and a small private sector as the state-run distribution system continues to deteriorate. An increasing number of North Koreans work in the informal, private sector to cope with growing hardship and reduced government support. The government, however, seems determined to maintain control. In October 2005, emboldened by an improved harvest and increased food donations from South Korea, the North Korean Government banned private grain sales and announced a return to centralized food rationing. Reports indicate this effort to reassert state control and to control inflation has been largely ineffective. Another factor contributing to the economy's poor performance is the disproportionately large share of GDP (thought to be about one-fourth) that North Korea devotes to its military. In late November 2009, North Korea redenominated its currency at a rate of 100 to 1. New laws were implemented, including regulations on consumption, tightened state control of the market, and a ban on the possession or use of foreign currencies. The redenomination appears to have resulted in increased inflation and confiscation of operational capital and savings earned by private traders and others working outside state-controlled sectors of the economy. North Korean industry is operating at only a small fraction of capacity due to lack of fuel, spare parts, and other inputs. Agriculture was 20.9% of GDP as of 2009, although agricultural output has not recovered to early 1990 levels. The infrastructure is generally poor and outdated, and the energy sector has collapsed. North Korea experienced a severe famine following record floods in the summer of 1995 and continues to suffer from chronic food shortages and malnutrition. The United Nations World Food Program (WFP) provided substantial emergency food assistance beginning in 1995 (two million tons of which came from the United States), but the North Korean Government suspended the WFP emergency program at the end of 2005 and permitted only a greatly reduced WFP program through a protracted relief and recovery operation. In April 2011, the WFP announced that it was launching an emergency operation to feed 3.5 million vulnerable North Koreans. While China and the R.O.K. had provided most of the D.P.R.K. 's food aid in the past, the D.P.R.K. refused to accept food aid from the R.O.K. between Lee Myung-bak's inauguration in February 2008 and January 2010, when the D.P.R.K. accepted the R.O.K. 's offer to provide 10,000 tons of corn. Following the sinking of the R.O.K. naval warship Cheonan, the R.O.K. further tightened restrictions on humanitarian assistance to the D.P.R.K. The United States resumed the provision of food assistance to the D.P.R.K. in June 2008 after establishing a strong framework to ensure that the food will reach those most in need. The United States committed to providing up to 400,000 tons of food through WFP and 100,000 tons through U.S. NGOs. From May 2008 to March 2009, the United States provided approximately 170,000 metric tons of U.S. food to the D.P.R.K. In March 2009, the D.P.R.K. stated that it no longer wished to receive U.S. food assistance and requested that personnel monitoring U.S. food distributions depart the D.P.R.K., halting the U.S. food assistance program. The United States also assisted U.S. NGOs in providing aid to fight the outbreak of infectious diseases following August 2007 floods, and worked with U.S. NGOs to improve the supply of electricity at provincial hospitals in North Korea. Following July 2010 floods, the United States Government supplied medical and other relief supplies to U.S. NGOs for emergency humanitarian assistance for flood relief. In September 2011, the United States Government provided $900,000 in emergency humanitarian assistance to U.S. NGOs to supply emergency relief to address severe flooding in Kangwon and North and South Hwanghae provinces. The D.P.R.K. failed to respond to the offer from the R.O.K. Red Cross of approximately $5 million in emergency humanitarian flood relief in October 2011. In 1991, following the collapse of the Soviet Union and termination of subsidized trade arrangements with Russia, other former Communist states, and China, North Korea announced the creation of a Special Economic Zone (SEZ) in the northeast regions of Najin (sometimes rendered "Rajin"), Chongjin, and Sonbong. Problems with infrastructure, bureaucracy, and uncertainties about investment security and viability have hindered growth and development of this SEZ. The government announced in 2002 plans to establish a Special Administrative Region (SAR) in Sinuiju, at the western end of the North Korea-China border. However, the government has taken few concrete steps to establish the Sinuiju SAR, and its future is uncertain. Two-way trade between North and South Korea, legalized in 1988, had risen to more than $1.68 billion by 2009, much of it related to out-processing or assembly work undertaken by South Korean firms in the Kaesong Industrial Complex (KIC). Ground was broken on the KIC in June 2003, and the first products were shipped from the KIC in December 2004. Plans envision 2,000 firms employing 350,000 workers by 2012. About 122 South Korean small and medium sized companies operate in the KIC, manufacturing mostly garments and footwear and employing more than 46,000 North Korean workers. Until 2007, a significant portion of total two-way trade had included donated goods provided to the North as humanitarian assistance or as part of inter-Korean cooperation projects. However, beginning in 2008, commercial transactions such as general trading and processing-on-commission have accounted for larger portion in overall inter-Korean trade. Most of the goods exported from KIC are sold in South Korea; a small quantity, about 18% of the KIC products, is exported to foreign markets. Regarding inter-Korean transportation links, as of March 2011, after the Cheonan sinking incident, South Korea suspended all inter-Korean trade with the exception of the KIC. Since the June 2000 North-South summit, North and South Korea have reconnected their east and west coast railroads and roads where these links cross the DMZ and are working to improve these transportation routes. North and South Korea conducted tests of the east and west coast railroads on May 17, 2007 and began cross-border freight service between Kaesong in the D.P.R.K. and Munsan in the R.O.K. in December 2007. Much of the work done in North Korea has been funded by South Korea. The west coast rail and road are complete as far north as the KIC (six miles north of the DMZ), but little work is being done north of Kaesong. On the east coast, the road and the rail line are complete but the rail line is not operational. R.O.K.-organized tours to Mt. Kumgang in North Korea began in 1998. Since then, more than a million visitors have traveled to Mt. Kumgang. However, the R.O.K. suspended tours to Mt. Kumgang in July 2008 following the shooting death of a South Korean tourist at the resort by a D.P.R.K. soldier. In April 2011 the D.P.R.K. announced that it was terminating its exclusive contract with Hyundai Asan for operating the Mt. Kumgang tours. In August 2009, Hyundai Group Chairwoman Hyun Jung-eun met with Kim Jong-il and obtained the release of a South Korean worker who had been detained in the D.P.R.K. since March. As part of those discussions, the D.P.R.K. expressed a willingness to resume tourism links and continue talks regarding the KIC. The D.P.R.K. resumed normal cross-border passage to the KIC on September 1, 2009, and D.P.R.K. and R.O.K. officials conducted a joint visit to international industrial zones in China and Vietnam in December 2009. Between September 2009 and February 2010, D.P.R.K. and R.O.K. officials had several meetings to discuss joint tourism projects, the KIC, and other issues. However, the talks resulted in no progress. The United States imposed a near total economic embargo on North Korea in June 1950 when North Korea attacked the South. U.S. sanctions were eased in stages beginning in 1989 and following the Agreed Framework on North Korea's nuclear programs in 1994. U.S. economic interaction with North Korea remains minimal, and North Korean assets frozen since 1950 remained frozen. In January 2007, pursuant to UN Security Council Resolution 1718, the U.S. Department of Commerce issued new regulations prohibiting the export of luxury goods to North Korea. Many statutory sanctions on North Korea, including those affecting trade in military, dual-use, and missile-related items and those based on multilateral arrangements, remain in place. Most forms of U.S. economic assistance, other than purely humanitarian assistance, are prohibited. North Korea does not enjoy "Normal Trade Relations" with the United States, so any goods manufactured in North Korea are subject to a higher tariff upon entry to the United States. At this time, goods of North Korean origin may not be imported into the United States either directly or through third countries, without prior notification to and approval from the Office of Foreign Assets Control. On June 26, 2008, President Bush announced the termination of the application of the Trading with the Enemy Act (TWEA) with respect to the D.P.R.K., though some TWEA-based restrictions remain in place. The United States has issued sanctions targeting the D.P.R.K. 's weapons proliferation and illicit activities under Executive Orders 13382 and 13551. Executive Order 13570, issued in April 2011, prohibits the importation into the United States, directly or indirectly, of any goods, services, or technology from North Korea. The Executive Orders are directed at those involved in proliferation or other illicit activities and their supporters. Following the D.P.R.K. 's May 25, 2009 nuclear test, the UN Security Council passed Resolution 1874 on June 12, 2009. Resolution 1874 condemned North Korea's second nuclear test, demanded that the D.P.R.K. not conduct additional nuclear tests or ballistic missile launches, and called on the D.P.R.K. to return to the Non-Proliferation Treaty (NPT) and Six-Party Talks without preconditions. In addition, the Financial Crimes Enforcement Network (FinCEN) issued an initial advisory June 18, 2009 (amended on December 18, 2009) on North Korean Government agencies' and front companies' involvement in illicit financial activities. In light of the financial measures in UNSCRs 1718 and 1874, and the use of deceptive financial practices by North Korea and North Korean entities, as well as individuals acting on their behalf, to hide illicit conduct, FinCEN advised all U.S. financial institutions to take commensurate risk mitigation measures. Points of contact for U.S. regulations concerning economic activity with North Korea:Treasury — Office of Foreign Assets Control, Tel. (202) 622-2490, (http://www.treasury.gov/about/organizational-structure/offices/Pages/Office-of-Foreign-Assets-Control.aspx);Commerce — Foreign Policy Controls Division, Bureau of Industry and Security, Tel. (202) 482-4252;Transportation — Office of the Assistant General Counsel for International Law, Tel. (202) 366-2972.